How do you x-ray a 1,500-pound beluga whale? That’s one of several design problems our undergraduate students are currently working on solving. In what maybe seems like an unlikely pairing, Segal and the Shedd Aquarium have had a longstanding relationship that spans more than 10 years. During that time, our students have produced nearly 20 prototypes addressing problems such as how to efficiently clean quarantine habitats or how to keep the ever-curious otter entertained. Segal Design Certificate Director Stacy Benjamin and other Segal faculty meet with Shedd staff each summer to discuss the aquarium’s latest challenges. Projects are then assigned to student teams. 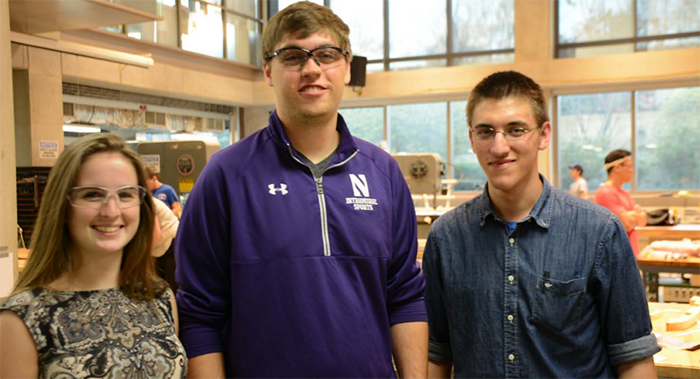 Read more about the partnership and other exciting projects our students have designed for Shedd Aquarium in Northwestern Research’s newest issue here.